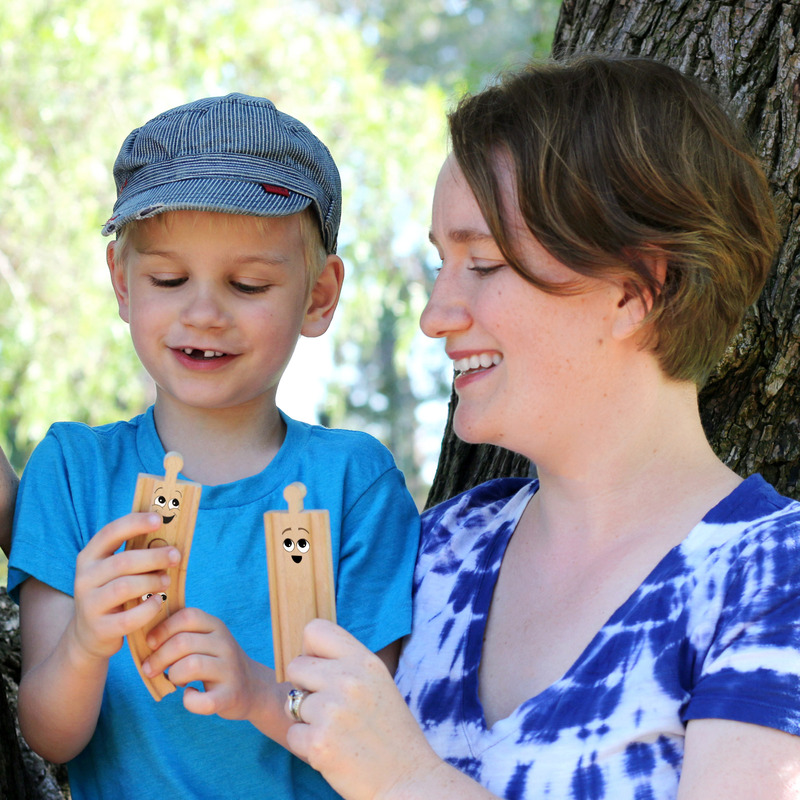 Creator and owner of Play Trains! 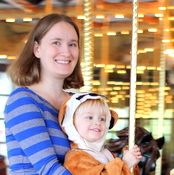 One and a half years old: Signs, TRAINS TRAINS TRAINS. I think you can probably see how I came up with a title for this blog. Six years ago, I couldn’t imagine how big this obsession would get, or that it would pull in both of us parents. I suppose it helps that both my husband and I are geeks, which means we’re no strangers to this kind of focused, intense interest. We find ourselves discussing Thomas and Friends characters or the relative merits of different lines of wooden trains after our son has gone to bed. 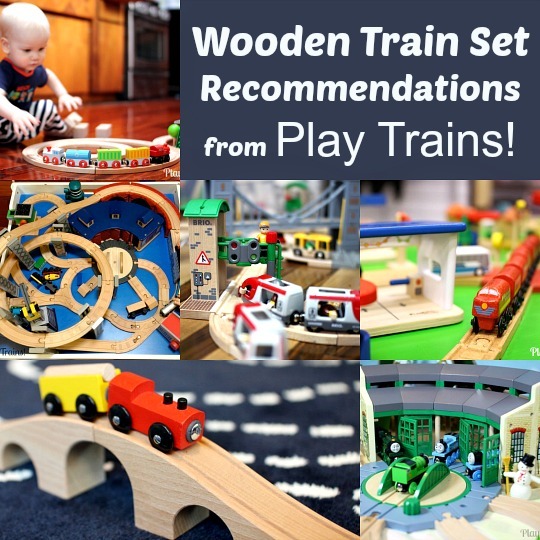 And that’s after a long day of, you guessed it, “PLAY TRAINS!” At any given time, we have wooden train layouts in at least two or three different rooms of the house. 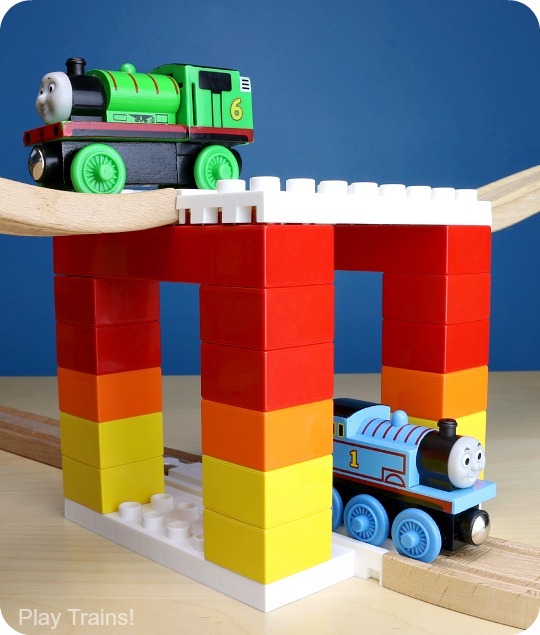 When we play with Duplo blocks, we build trains and stations. 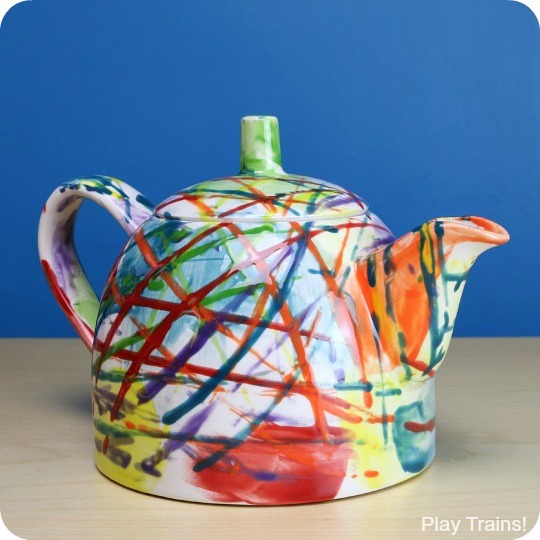 We draw and paint trains, do train puzzles, read train books, play Train Store, remap most of the city as the Island of Sodor as we run around and play…and that’s just the tip of the iceberg. 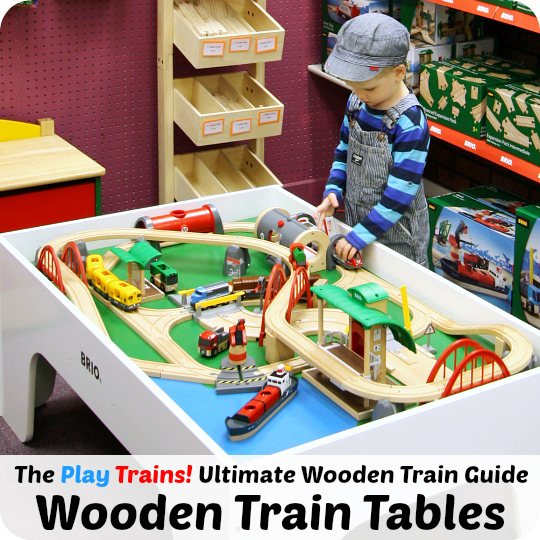 I’ve spent a lot of time and effort learning about the world of trains that’s out there for young children, and it seemed a shame not to share that knowledge with other parents, or anyone else who finds themselves playing with a little train lover. When I’m not the Little Engineer’s playmate, I’m a children’s book author, illustrator, and editor. 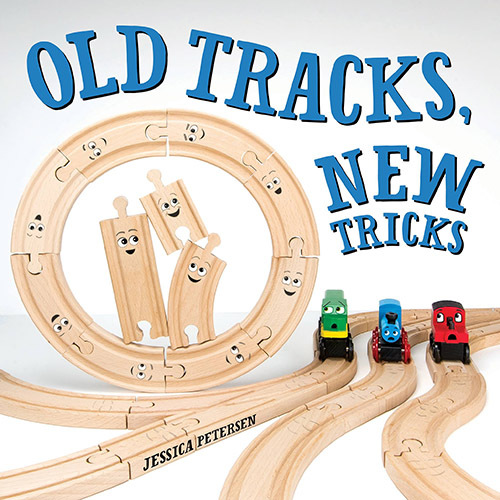 My first book, Old Tracks, New Tricks, was inspired by all our years of train play as a family, by the posts I wrote (or had always wanted to write) for Play Trains! 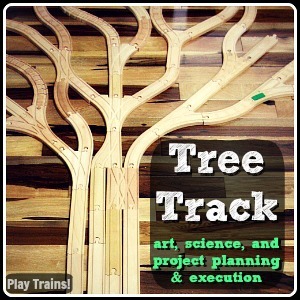 Through the story of three creative train tracks who shake up an old train set, it shows kids a whole trainload of new ways to play with their trains, as well as encouraging them to come up with “track tricks” of their own! You can visit the Old Tracks, New Tricks website, and also read more about my work at my author website, Jessica-Petersen.com. I also once kept a food blog, Pie of the Tiger, inspired by my former career as a pastry cook. 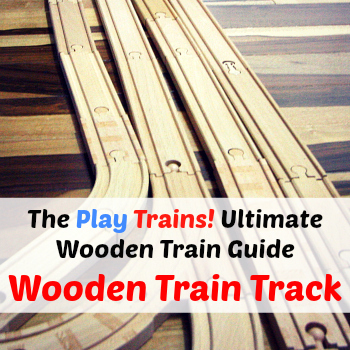 I’d love to meet you and talk trains on Facebook, Pinterest, Twitter, and Google+!